Just found out last night that there’s a new brewery in town and it’s opening is tonight! Compared to the louder efforts of Pikes Peak Brewing, this brewery has taken a very quiet approach. It was a real suprise to me and to all the people I’ve talked to. 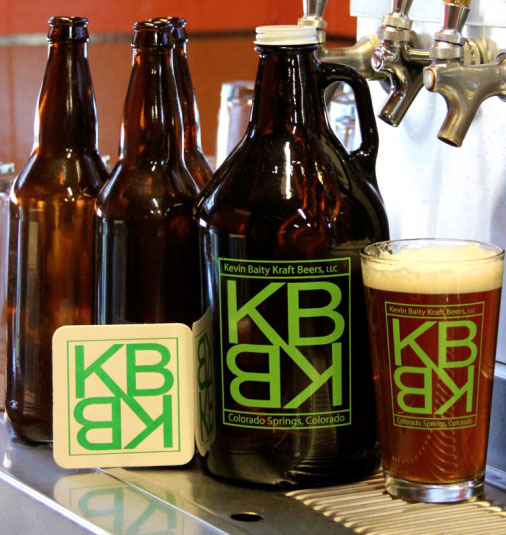 So, please help welcome to town Kevin Beity Kraft Beer (KBKB). I believe they may also just go by ‘Kraft Beer.’ A few of my friends and I will be heading there around 5pm to check the place out and celebrate the new beer. According to their website, they’ve got a Wheat, Porter, Pale, and a Lavender beer ready to go and there’s a Lavender Lager that’s currently still fermenting. Other than that, we don’t know a whole lot about the place. Come on out tonight! Special thanks to the Beer Drinker’s Guide for pointing this out. To stay up to date with Focus on the Beer you can receive email updates and join us on our Facebook page.